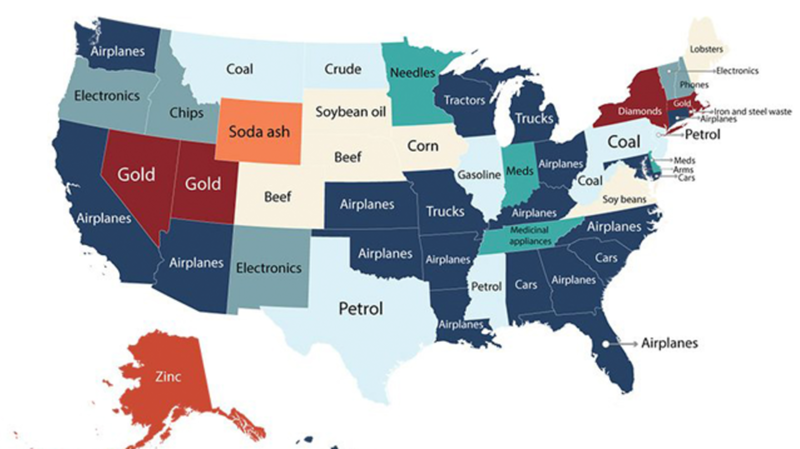 Today's map comes from the cost estimating website Fixr.com, who used data from the U.S. Census Bureau to find out what each state for exporting. Strangely, New York has been unloading a lot of diamonds. If you click here to enlarge, you can see how the map was color coded.